Recent Articles, Engaging Families, Intervention Visits, Professional Development, Service Coordination, Teamwork, What Would You Do? 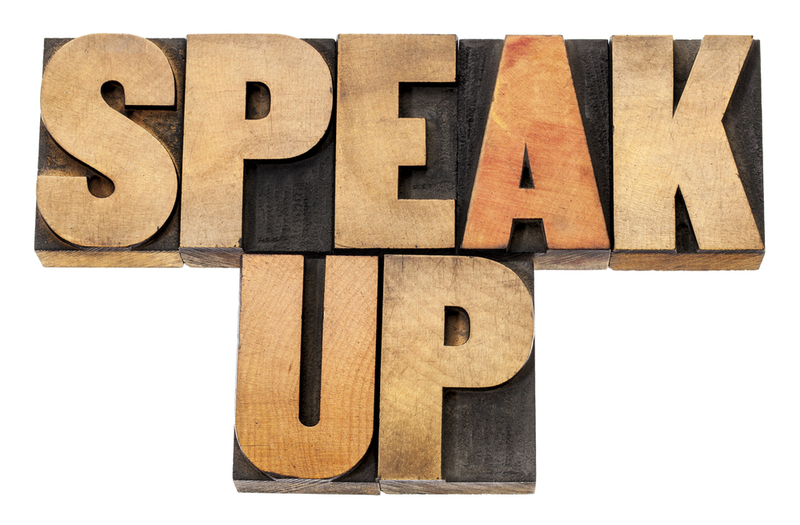 You are here: Home » Recent Articles » Service Coordinators: Speak Up and Share Your Value! Ever Been in Alice’s Shoes? Ever had a moment like this during a visit? Maybe a colleague described your job in a less-than-professional light? Or a parent introduced you to someone else in a way that left you feeling like he or she really didn’t understand what you do? Unfortunately, this is not an uncommon occurrence for many service coordinators when their team members struggle to understand their role or the importance of service coordination. Service coordinators are valuable team members who lead early intervention (EI) teams. They bring unique expertise to the team that is often misunderstood. It is easier to recognize how a physical therapist brings expertise about motor development or how a speech-language pathologist brings expertise in communication. We tell families all the time that they bring expertise about their child, their daily routines, and how their family works. Because the role of service coordinator is unique to EI, it can be less obvious what that role brings. Other team members may see the service coordinator as primarily a “paper-pusher” responsible for documentation and getting forms signed. (In fact, many service coordinators have reported this.) Or, perhaps, families may see the service coordinator as the voice on the phone who calls each month to ask how things are going. If that is all they see or hear, then you can undersatnd how it can be hard to really understand the role of a service coordinator and the value in this work. Because the service coordinator role is less familiar, it’s really important for program supervisors, and service coordinators themselves, to help others understand what they do. Example: I’m your service coordinator, which means I am the person who will guide you through the early intervention process. I’m also a resource for you when you want to learn about what’s available in the community to help you and your child. I make sure that your EI services are addressing what’s important to you. I’ll check in regularly to see how things are going and I’m here for you to ask questions anytime. If you’re the supervisor, make sure you can explain the roles of all of your staff and that you educate new staff, contractors, and community partners so they understand the value of all team members. Example: It’s my job to make sure you are aware of your rights as a parent involved in our program. I am also here to help you communicate with the rest of the team anything you want to share, including what you think your child and family need, what’s important to you, and what you would like to accomplish by being in our program. We will work together, with other members of your EI team, to make sure you are learning ways to encourage your child’s development throughout the day. Example: Yes, we do have some paperwork to do but I’m here for more than that. I’m looking forward to seeing how Max is doing with learning to sit up on his own. I also love seeing how physical therapy is going and talking with you both about any updates or changes needed to Max’s IFSP. I’m responsible for making sure that EI services are working for your family and that you are getting what you and Max need. If there are any questions, I’m here to help with that too. Show Your Value – This is an important one. Demonstrate the value you bring to the team, to the visit, and to any interactions with the family and other team members. Be fully present when joining visits. Get involved, share ideas, make observations, and offer feedback. This always needs to be balanced with avoiding “taking over” or disrupting the visit, but you have valuable insight to share. You know about child development too. You are an expert in the EI process. You demonstrate your value when you actively participate, guide the EI team, and do what you say you will do, meaning that you follow through on your commitments. What you do, as well as what you say, shapes what others know about your work! How do you share and show your value as a service coordinator? How would you handle the situation described above? What would you do or say to help your team members understand your role? Share you insights in the comments below!